...as I noted two weeks ago in this missive, these were all of the ingredients necessary to bring the bear market that began in 2018 to its end. 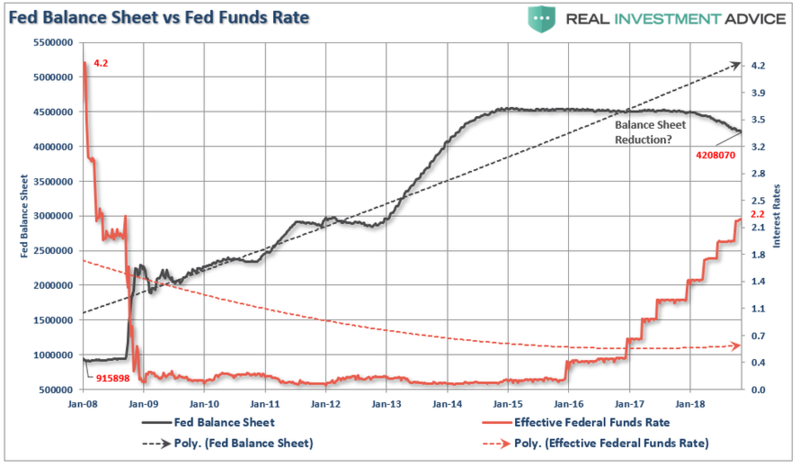 While the Fed certainly gave the markets what it wanted in the near-term, in the longer-term there is actually very little the Fed will be able to do to stem the next recessionary bear market. The chart below shows why. True, but there are other factors at play which will also dramatically limit the effectiveness of further rounds of accommodation. When the Fed launched QE in 2009, market valuations had been reverted to below the long-term average and investor sentiment had been completely washed out. The massive selling that occurred as the markets collapsed left a huge amount of “pent up” demand for equities. Valuations are no longer cheap by historical standards, but instead are expensive by virtually every measure. 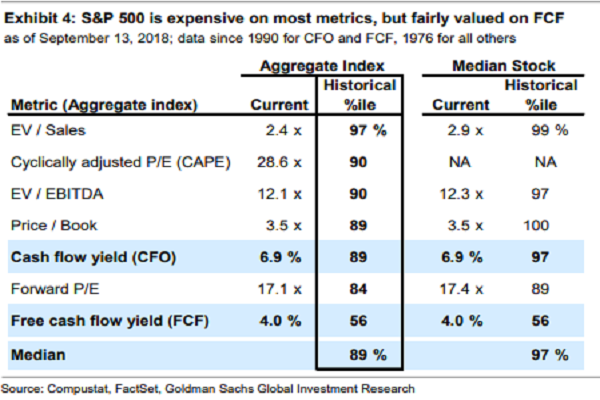 As Goldman Sachs pointed out recently, the market is pushing the 89% percentile or higher in 6 out of 7 valuation metrics. There is no longer a “pent up” demand for equity ownership as households now have more equity exposure than at any other point in history. 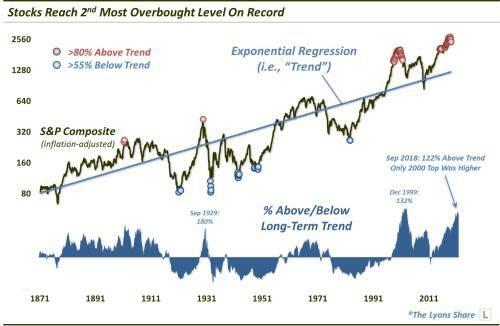 While markets can certainly remain extended for much longer than logic would predict, they can not, and ultimately will not, stay overly extended indefinitely. Jobless claims are at historic lows, rather than historic highs. Consumer confidence is optimistic, not pessimistic. Corporate debt is a record levels and the quality of that debt has deteriorated. The government is already running a $1 trillion deficit in an expansion not half that rate as prior to the last recession. The economy is extremely long is a growth cycle, not emerging from a recession. Production and Services measures recently peaked, not bottomed. In other words, the world is exactly the opposite of what it was when the Fed launched “monetary accommodation”previously. Logic suggests that such an environment will make further interventions by the Fed less effective. The only question is how long will it take the markets to figure it out?